We understand that your pets are a much loved member of your family and deserve the highest quality healthcare. We do everything possible to assure the best opportunity for them by providing them with outstanding veterinary services and after hours care. We have all the toys for doing a range of surgeries and diagnostics – 3 x Anaesthetic machines, 5 x drip pumps, 3 x pulse oximeters for monitoring patients. We have recently invested in special patient warming devices for anaesthetics. We do a lot of dentistry & dental surgery, deal with all kinds of injuries, tumours (internal and external) as well as the routine desexings and so on. We have an inhouse lab that allows us to do blood tests and all kinds of diagnostics; we have digital radiology, a new ultrasound machine (recent upgrade investment of over $50k) which gives us the capability to look inside animals to diagnose all kinds of problems and accurately collect important samples by ultrasound guided techniques. We have endoscopy, ECG & blood pressure monitors. All kinds of scopes for looking down ears, up noses & we even have special eye exam equipment. Essentially we have a lot of sophisticated tools and the knowledge to use them when needed. Our vets cover the whole range of services that our patients require. We do behaviour consults, skin diseases, etc. We are the only vet practice this side of Melbourne that provides Acupuncture and Chinese Medicine. 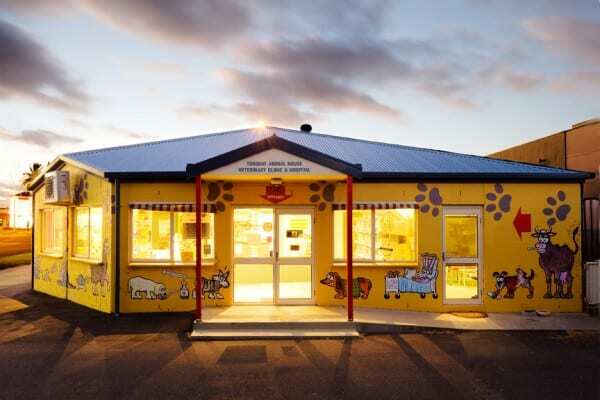 Our ever popular puppy preschool also runs throughout the year. We stock a range of merchandise that we would use on our own pets. All the staff love pets and have pets. As one could imagine, we also do a lot of wild life care – recently looking after Koalas with burns from the Christmas 2015 fires down the coast. Denis & Mark still get out on the road doing a small amount of large animal work – Denis has had a special interest in Alpacas & Llamas for over 25 years. We are happy to do house calls when necessary to treat sick animals – although it is best to get them to the practice for all sorts of reasons. The home visits we do are mostly for euthanasias which is sad, but some people prefer their pet be peacefully put to sleep in their most familiar surroundings, and we quite understand that. Our vet clinic is a very cat friendly practice too, with a dedicated cat consultation room and cat waiting room. 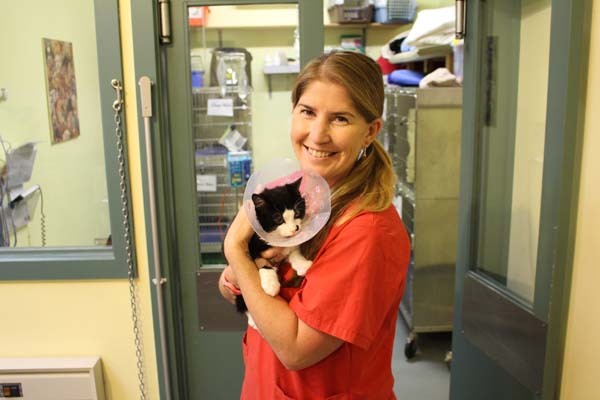 We are members of the International Society Feline Medicine and Australian Feline Society and have close links to the Torquay and Surfcoast Cattery which is owned and managed buy one of our very experienced vet nurses Darina Ryan. You can visit the cattery Facebook Page here. Our friendly staff stay up to date with the latest veterinary advances and go to continuing education courses and conferences. Their love and compassion for animals is shown with each patient that visits our clinic. At the Torquay Animal House we are dedicated to supporting the Surf Coast community with the best possible care and advice. Located at 120 Geelong Rd Torquay in Victoria, we service the entire Surf Coast area including Torquay, Jan Juc, Anglesea, Airey’s Inlet and Lorne. We are open 6 days a week Monday to Saturday and also offer an after hours emergency service. For after hours emergencies call the usual hospital number and follow the message prompts.